This is a wonder to behold. This is what happens when seven of the best space builders on the planet pool their resources and build together. 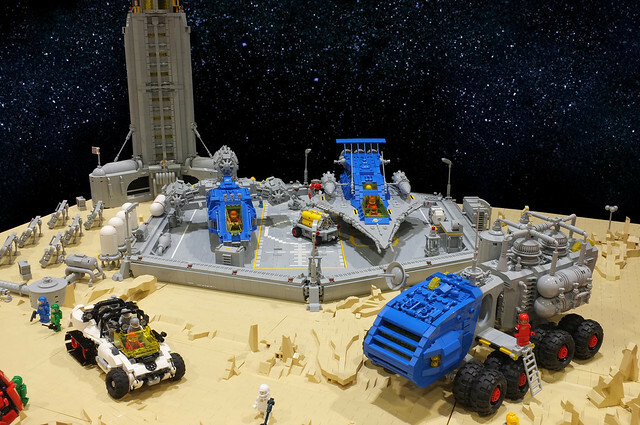 This space base is the collective work of Jason Briscoe (Brizzasbricks), Gary Davis (Bricks for Brains), Tim Goddard (Rogue Bantha), Andrew Hamilton (Wami Delthorn), Alec Hole (hhcBrick), Rhys Knight (Mister Bricks) and Peter Reid (Legoloverman). 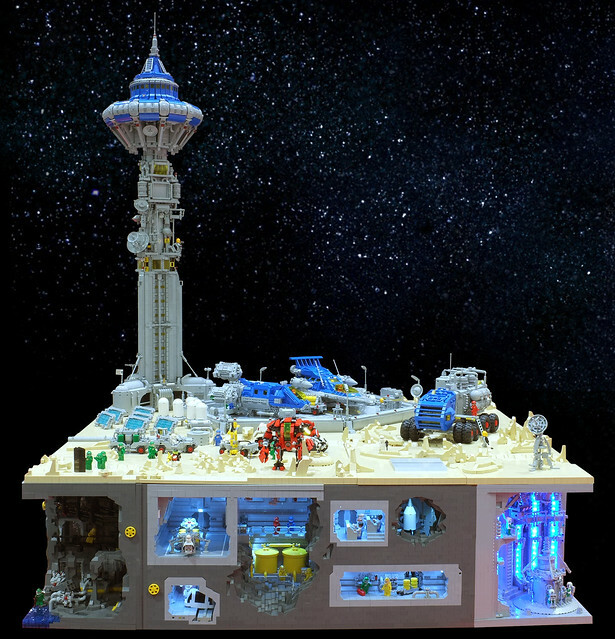 It's a true dream team of builders, and the results are jaw-dropping, I strongly encourage you to click here to see many more pics.